There are many educational programs online. Why should I join Day Trading Academy? There is an infinite amount of information online to be able to learn how to day trade and invest. Unfortunately, most educational companies don’t have our best interests at heart, because they try to sell us indicators and software in order to require us to rely on them the rest of our day trading careers. The Congressive Trading Strategy is designed to teach you how to understand the market, so that you won’t have to pay for more and more indicators and software. There also isn’t any opportunity to continue to grow once we become consistent and profitable with most companies. If you are looking for a trading strategy that will allow you to grasp how to understand the market and teach you to rely on yourself rather than indicators or software, then you are in the right place. Day Trading Academy (DTA) is not a company, but a unique community of traders that want to see you grow well beyond just becoming profitable. We start all of our traders with a strict rules-based trading strategy that removes subjectivity and the guesswork of where to get in the market, where to get out, and most importantly when not to take any trades. Once you become consistent we give everyone in the training program the opportunity to trade an investor and/or company funded account*. How long will it take me to learn how to day trade? We understand that everyone is unique in the way they learn and understand things. Since we have such a diverse group of professional day traders we have the ability to personalize the education program to your circumstances. We also know that you may want to use this unique opportunity to join DTA to be able to quit your job, spend more time with your partner and/or kids, and even travel around the world. We have setup our training program to accommodate busy individuals in today’s very fast paced world. All of our classes are recorded and we use software that will allow you to practice at any time of the day. This means that you can review our step by step training curriculum and live training classes at your convenience. We will be with you every step of the way to hold your hand through the process to make sure that you become one of our next successful Graduate Master Traders. Do I need prior trading experience before joining DTA? In short, our effective trading methods work for brand new beginners that know nothing about trading or advanced traders that need discipline and better trading psychology. Many people think that this is a disadvantage, but in reality this is an advantage. By being a complete beginner you will learn how to read the market the right way from the beginning. Oftentimes traders with a lot of experience have to unlearn bad habits and relearn the right skills. This means that you will be able to start the program on the right foot and interact with all of our successful Master Traders. We have a complete four, stage training curriculum for beginners, intermediate traders, as well as advanced and pro traders. Do I need to have a certain personality to learn to trade? We have trained people from all backgrounds, and a wide range of ages from all over the world. It doesn’t matter whether you are African American, Spanish, American, or European. It doesn’t matter if you are white, black, purple or green. It also doesn’t matter if you are an art person, a math person, a professional athlete, or even a couch potato. We have trained people from all walks of life including a fire fighter, a professional hockey player, a pastor, and even a man that was legally deaf. We make accommodations to everyone’s circumstances because we know the unique journey that you are about to take and what it means. We are very passionate about day trading because it has allowed all of us to achieve our dreams of financial independence as well as time and location freedom. You are neither too young nor to old to learn how to day trade. We have taught an aspiring 18 year old right out of high school, to a retired 65 year old. It’s time for you to start your journey as a professional day trader. If you have any other questions feel free to contact us via the contact form below. We have received an overwhelming amount of interest in our training program due to a front page feature in BBC, and receiving accolades as one of the best day trading schools online from Investopedia. Please understand that we cannot accept everyone in the training program. It does depend on availability. Want an inside look at how we make our traders so successful? We are sure you may have more questions and have put together a complete guide to starting day trading. This guide has been developed for both the curious new trader, as well as the experienced trader looking for a new strategy offering consistency. Here you will find our approach to creating a successful trader and answers to any questions regarding our program. 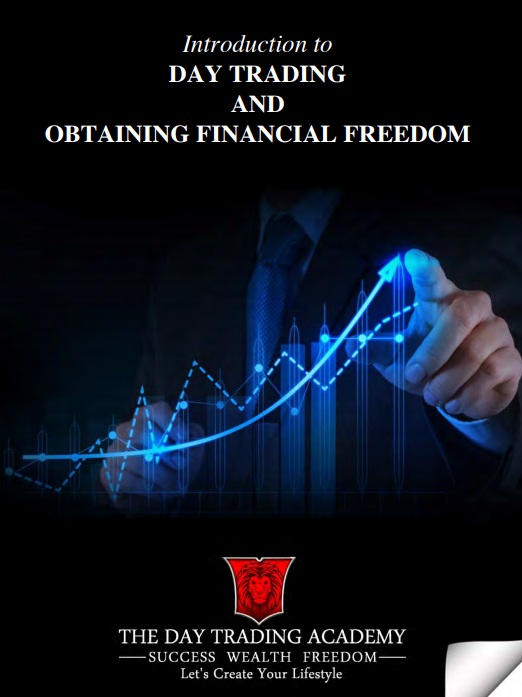 Whether you have just been introduced to the subject, are looking for a new strategy offering consistent results, or want to trade a different market; this guide will show you how to obtain financial freedom through day trading. This program is proven and utilized daily by our growing community of traders. Download the Start Day Trading Now guide to trading. We are currently training only a handful of traders, and only accept a small number of traders into the program every month. If you are interested in learning how to day trade, becoming your own boss, and having your financial freedom then sign up for the newsletter below we will be happy to let you know if there are any openings into the training program. We have received a lot of questions from people that are interested in day trading and traveling around the world, as well as getting started day trading. We plan on providing a significant amount of content on the site for beginners, as well as experienced day traders. We definitely look forward to speaking to everyone about day trading. Learn a little about Day Trading Academy by reading the about section and have a look around this site as well. We’ve listed a great set of links on my resources page. We often organize FREE live classes so that you can have the opportunity to participate in one of our classes with Marcello, founder and owner of the Day Trading Academy. Check out the when the next webinar is and register here.